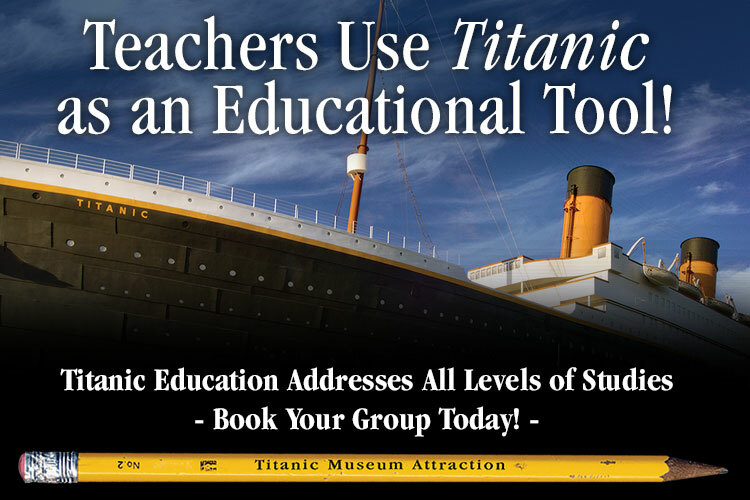 Titanic Pigeon Forge honors all HOMESCHOOL Students with a special rate. Call 800-381-7670 to make reservations. Upon entering the World’s Largest Titanic Museum Attraction, students will receive a ‘boarding’ pass with the name of a passenger who made the maiden voyage. Using the ‘ship’ as a classroom, students learn life lessons… on their scavenger hunt sheet.